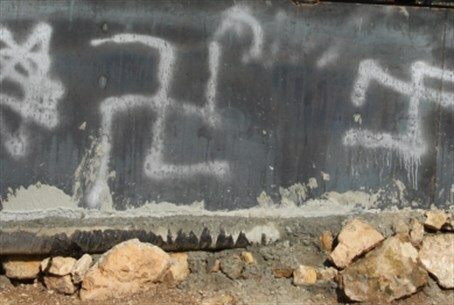 "Jewish pigs" found scrawled on the walls of a popular eatery last week; police say they are taking the case very seriously. The Jewish community in Copenhagen is once again reeling from an anti-Semitic attack, local news reported Tuesday, after a grocery store and deli was broken into and left with racial slurs slathered on its walls. Police discovered the crime, which was in Lyngbyvej in Østerbro, last Thursday, according to Berlingske Tidende. One of the windows was broken into and the word “Jødesvin” - translated by The Local as "Jewish pigs" - was scrawled on its walls. Police investigator Kenneth Jensen told Berlingske that there would be an "extra focus" on the investigation following the Copenhagen shooting attacks two months ago which killed 2 people. In February, 22-year-old gunman Omar El-Hussein shot dead a filmmaker and an unarmed Jewish security guard outside a synagogue in twin attacks in the Danish capital. The shootings sparked a mass march to protest anti-Semitism and a heightened awareness of the risks for Danish Jews, after a former Chief Rabbi stated that the attacks were unsurprising in an Arutz Sheva interview.